One of the greatest disadvantages of computer is that they always break down. Whether you have PC or a simple portable device, you’re likely to lose your data any occasion. There is a great likelihood that your hard drive could become corrupted or simply hard to access. Well, in any event of such a catastrophe, MiniTool Power Data Recovery should always come in handy. Thanks to this software, you can very easily salvage and recover any lost data from your devices effortlessly. And today, it seems technology has opened all the doors for us. As the days pass by data recovery technologies only bring new surprises for us. And data recovery software is capable of doing this. 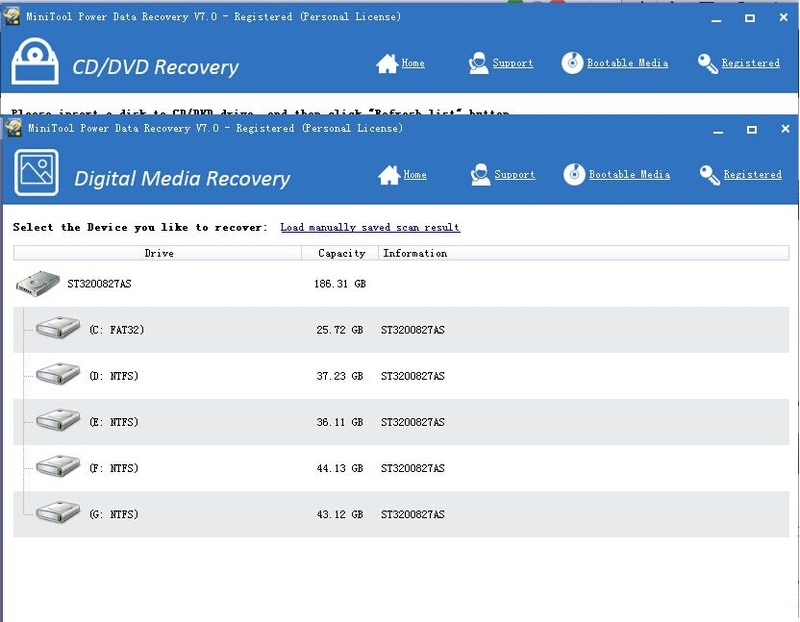 In this post we are going to introduce the free file recovery program MiniTool Power Data Recovery7.0 Personal Edition. 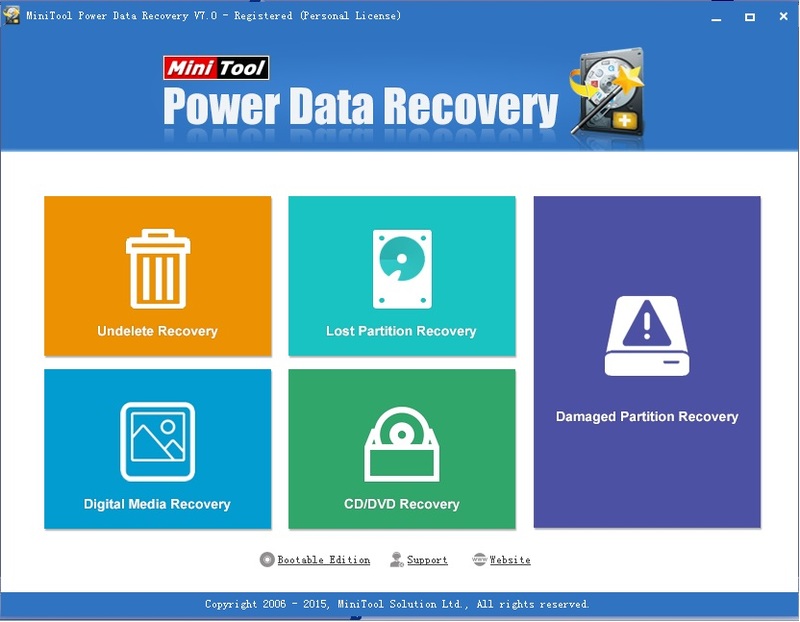 MiniTool Power Data Recovery 7.0 P ersional Edition. is the best and all in one free data recovery software for Windows and server users. Only three-step, users could recover the lost, deleted, formatted, corrupt files easy and safe. MiniTool power data recvoery free Edition and personal Edition difference here? I made two versions of the test, the free edition is for small data users,it need to recover the data capacity is less than 1GB. MiniTool power data recovery 7.0 personal Edition not limited recovering datas, and it support Load Previous Recovery Result. Undelete Recovery module works only with deleted files and allows user to “undelete” them (another popular term is “unerase”). This data recovery module focuses on recovering deleted files and folders. By using Undelete Recovery module, you could recover deleted files emptied from the Windows Recycle Bin and even files deleted by using SHIFT+DELETE key. 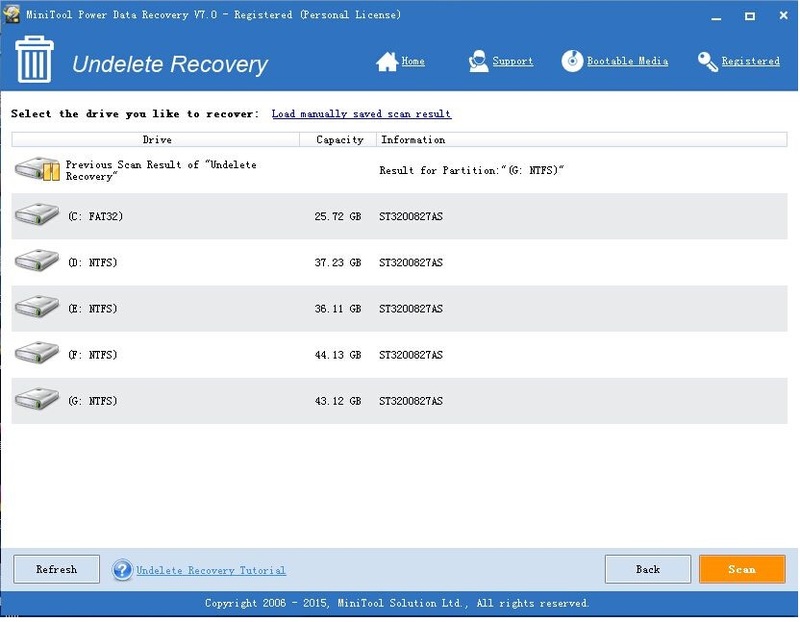 Undelete Recovery module supports FAT12, FAT16, FAT32, VFAT, NTFS and NTFS file systems. And it supports hard disk, flash drive, memory stick, memory card and flash card. 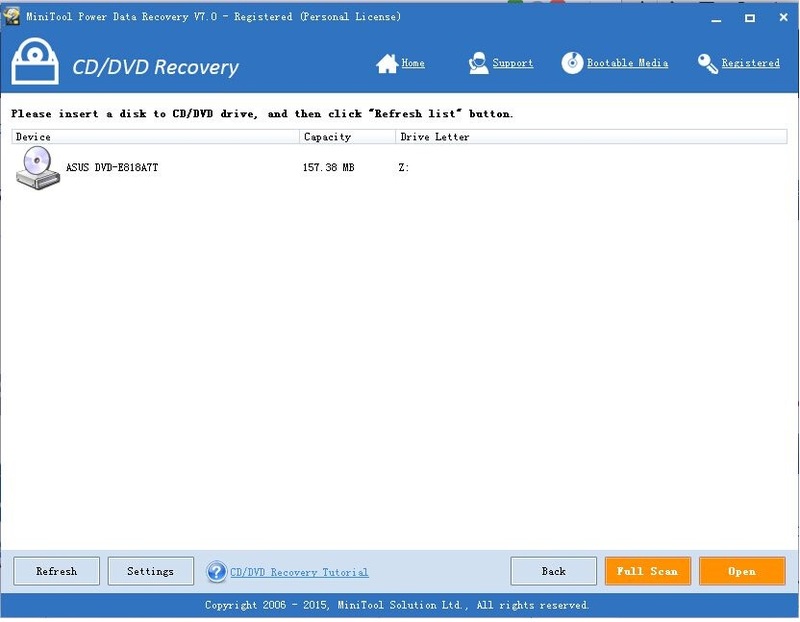 CD/DVD Recovery module is the most easy-to-use CD/DVD data recovery tool that you could find on the internet. This data recovery module is designed to recover data from CD & DVD disk. It is designed specifically to recover lost and deleted files from damaged, scratched or defective CD and DVD disks. This data recovery module can recover files recorded by common CD/DVD writing software. It supports to recover data from all CD and DVD disc types (CD-ROM, CD-R, CD-RW, DVD-ROM, DVD-R, and DVD-RW), and from quick formatted RW discs. It also supports disc recorded with UDF packet writing software: DirectCD, InCD, packetCD. 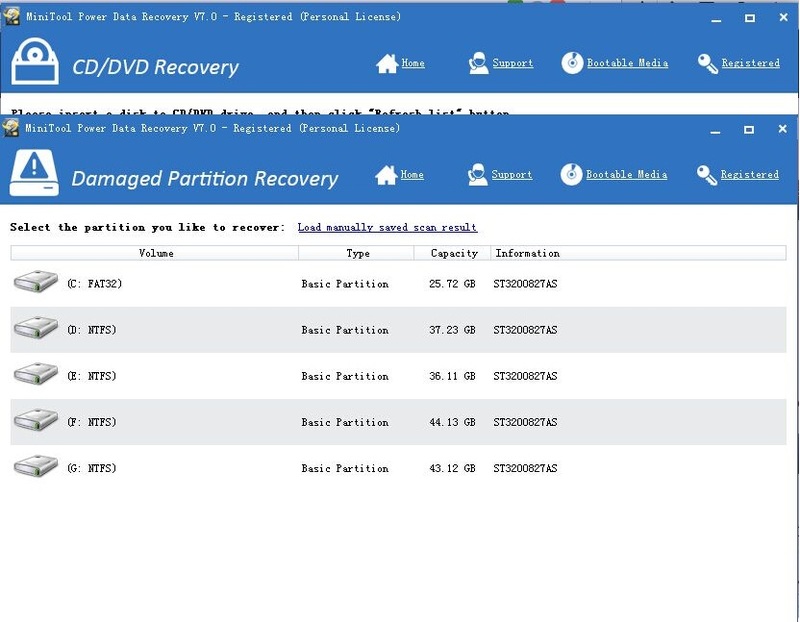 And, Damaged Partition Recovery module supports MBR-style and GPT-style partition as well as Windows dynamic volumes including Simple Volume, Spanned Volume, Mirrored Volume, Striped Volume and RAID-5 volume. Digital Media Recovery module is a powerful data recovery tool that could help you recover lost data from digital media device. For example: flash drive, mp3 player, digital camera, memory stick, memory card, iPod. When should we use this data recovery module? We should try this data recovery module first when you like to recover photo, music and video files from these digital media devices. No matter your memory card is formatted or the files is deleted. This data recovery module should be your first choice. 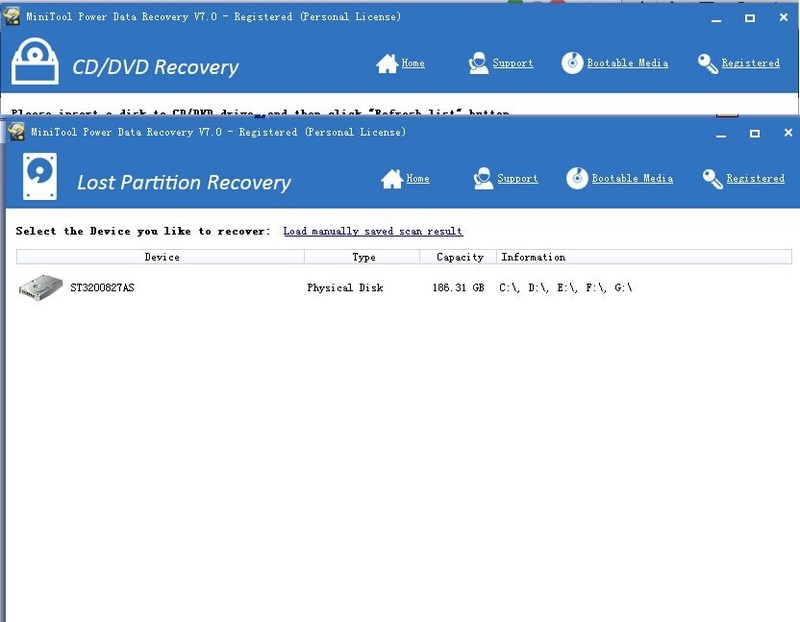 Note: if the deleted or lost partition you want to recover is listed in the window above, you can directly select it and then click “Full Scan” or “Open” button. However, if you cannot find the desired partition in this interface, please select the whole hard disk and then click “Full Scan” to thoroughly scan it. MiniTool Power Data Recovery personal Edition is a good choice. If Windows can not boot, use Power Data Recovery Boot Disk to see whether you can find desired files. Related to "Best Data Recovery Software – MiniTool Power Data Recovery 7.0 Personal Review"